After Watergate pulled him off course, he focused on his values. Throughout Discover Your True North, successful individuals discuss how they became authentic leaders. This forum is a chance to delve deeper into the thoughts and journeys of these influential leaders. In this profile, we will talk about values with former presidential adviser David Gergen. Thank you for joining us, David. Currently you are a professor of public leadership at the Harvard Kennedy School and the director of its Center for Public Leadership, but once upon a time you were a young speechwriter for Richard Nixon? Yes. I worked for President Nixon as a speechwriter. I think when I arrived in Washington the power, glamour, and status of working in the White House went to my head. After the 1972 reelection, I was the leader of his speechwriting and research team. I was supervising 50 people at a young age. It was tempting to fall into the arrogance that was demonstrated by that administration. And the Watergate scandal broke just as that second term was starting? Yes, and I certainly had a ringside seat. I was initially assured of the president’s innocence. Maybe I wanted to believe him, maybe I liked having a White House job. I know that I was worried resigning might make me look like I was abandoning a sinking ship, so I stayed on. Eventually, the story changed. I found out about Nixon’s guilt a couple days before everyone else. The president tasked me with crafting his resignation. Looking back, would you have left the administration earlier? I’m not sure what I would have done. I can only speak to what happened. At the time I was enamored with working in the White House and I wanted to stay in that world. That is why I lost sight of my values for a time. I got caught up with the idea of a powerful position. It was my first prestigious job and, when Nixon resigned, part of me thought it would be my last. What did happen to your career after Nixon resigned? After President Nixon left the White House for last time on Marine One, the phone did not ring for a while. Only a few close friends stayed in touch. I learned a valuable lesson about what one has left after a crisis – because all I had were the people who were most loyal, those I was closest to, and myself. After Watergate, I got back to my roots, refocused on my values. I decided that I had to be much more transparent in my career moving forward, and more honest with myself about my beliefs and principles — especially before I faced another crisis. You went on to advise Presidents Ford, Reagan and Clinton. Is that right? I did. I was able to process Watergate and learn from my experiences. Looking back, it was transformative. I strengthened the relationships I had and moved on. Watergate taught me a lot about my own values and how to handle certain situations in the future. It was certainly a difficult way to learn a lesson, but it was very important to my development. If there is one major takeaway from your experience in the Nixon administration that defines you as a leader today, what is it? Watergate taught me that I had a lot to learn. A title isn’t the most important thing, as it may be temporary. My experience also changed how I interact with other leaders or bosses. Since Watergate, I have frequently disagreed with those I worked for because the failure of the Nixon administration remains so vivid in my mind. One has to stay true to his or her values, even if those values conflict with the values of a person in power. It comes down to you, doesn’t it? One thing we are learning through the discussions in Discover Your True North is that you have to be true to yourself and only then can you grow as a leader. That’s right. The hard times reveal the most about you. There are times in your life when all you have to lean on is your own moral compass. I learned that President Nixon did not have a moral compass – and everything went off track because of it. Thank you for your time, David. I know others are interested to hear this first-hand account of such a critical American event. What are the most valuable things in your life? You might say your partner or children, family members or friends, and that’s great. Some people remember an old watch their grandfather passed down. There’s also your home and car. Now: What are your values? This question is different. Values are not tangible, and it may have been a while since you last thought about what’s important to you. 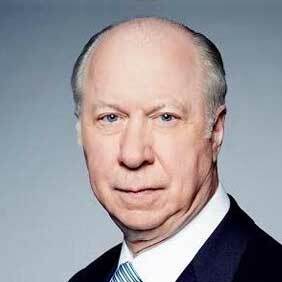 David Gergen was a speechwriter for Richard Nixon when the Watergate scandal broke. At first he was assured of the president’s innocence – and he wanted to believe in his leader. After all, Gergen was young and, as he describes himself, attracted to the power and prestige of a White House job. But the president was not innocent and, eventually, the story inside the administration changed. As Watergate swept the nation, Gergen considered resigning but worried about looking like “a rat leaving a sinking ship.” Since he wanted another White House job in the future, he accepted the responsibility when Nixon tasked him with writing a resignation speech. Gergen watched his first White House job come to an end when his boss flew away on Marine One, disgraced. For a long time the phone did not ring. Only a few close friends stayed in touch. Through this challenging time, Gergen learned a valuable lesson. “When you’re in trouble and all your defenses get stripped away, you realize what matters and who matters,” he said. What matters? If everything else falls away, all you are left with are the people who care about you and who you are – the values that define you. Gergen may have been too young in the early 1970s to know when to leave a faltering leader, but his experience proves that a person should know what to stand for long before a crisis begins. It’s critical that you think about your values, write them down and review them often, so the right course of action is clear when two paths conflict and you are forced to choose. As I like to say, you have to decide before it’s time to decide. That way, when it’s time to decide, you’ll have already decided. 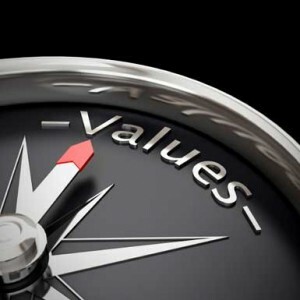 In addition to your values, you have leadership principles (actionable expression of your values) and ethical boundaries (how your values limit your behavior). Both leadership principles and ethical boundaries govern how you interact with people. They define what you will and will not do on a daily basis. You can see how it’s impossible to set leadership principles and ethical boundaries until you understand your values. Narayana Murthy founded Infosys Technologies in 1982 in India. The information technology outsourcing company came of age in a time of corruption. Bribes were a business-as-usual. But Murthy refused to pay bribes. He founded his company on his values and the values of his colleagues, and he believed that paying bribes at the beginning of the company’s existence would set a precedent for years to come. Murthy wanted his growth as a leader and as a businessman to be authentic. Eventually the corrupt individuals stopped asking him to pay. But what makes people like Murthy stand by their ethical boundaries? Murthy’s father was an ethical man and the teachings of Mahatma Gandhi were important to his family. These core values permeated his life and eventually his business. As you pursue your True North, you will learn that translating your ethical boundaries into daily practice is the duty of a great leader. Best Buy’s Kathleen Edmond created a blog where employees could review company policy about standards of ethics. In a review of this practice, the Harvard Business Review points out how much social norms influence behavior. A negative standard can spread if you allow it to become the norm, but if you set a firm, positive standard, if you begin in a positive place as Murthy did, people may follow for fear of breaking rank. The Harvard Business Review also points out some nuances involved in setting ethical standards. Are you pushing employees to perform or are you pushing employees to perform in the correct way? Do you stress economic success or ethical practices? It seems when people focus on the way they do business rather than how much business they do, good things happen. A great leader establishes a company’s values early on as a matter of proactive prevention. Once something negative happens, it is difficult to break the cycle and reestablish value-based principles. For example, when the Watergate scandal broke it was far too late for the president to go back and define appropriate ethical boundaries for his administration. In life, you have people and possessions you value, and you have your values: the pillars of your character that define who you are and what you believe. While you grow as an authentic leader and pursue your True North, any number of forces will try to pull you off course. Pressure can cause people to forget what they believe. However, if you are able to draw on your values when times get tough, you will have the courage and discipline to stay on course. You must decide before it’s time to decide. That way, when it’s time to decide, you’ll have already decided. One a sheet of paper, write down your values. Think about what adjectives define your character. After you write down ten or twenty values that guide you as a leader, rank them in order of importance. Use this definitive list to make decisions about your future and the wellbeing of those you lead. From the moment you wake up, you’re bombarded with distractions. Emails clog your inbox, requests pile up, and notifications flicker in the background. Within moments your attention is scattered. Given the realities of today’s 24/7 world, how do great leaders slow down and focus in order to make thoughtful decisions? Mindfulness is the practice of self-observation without judgment with a focus on our minds and inner voices. Mindful practices include daily meditation, prayer, journaling, or jogging alone. In a fast paced world, mindfulness enables you to clear your mind of clutter, focus on what is important, and be creative. Leaders like Arianna Huffington and Steve Jobs are well known for their mindfulness practices. As our lives have become filled with technology, the distractions we face increase exponentially. With it, our ability to focus has diminished, but our need to think clearly in order to make complex decisions has not. More than ever, leaders need to train themselves to be fully present. Today many more companies are promoting mindful practices to improve the health and decision-making of their leaders. Google, under the tutelage of Chade-Meng Tan, trains 2,000 engineers in meditation each year. When I visited Google this spring, it was evident that mindfulness is one of the key reasons behind Google’s innovative and harmonious culture. Leading financial services firms like Blackrock and Goldman Sachs offer mindfulness courses for their employees. At General Mills Janice Marturano was so successful in mindfulness training that she founded the Institute for Mindful Leadership. In 1975 my wife Penny and I went to a weekend program on Transcendental Meditation. At the time I was working nonstop, coming home exhausted, and having late dinners. I even got denied for life insurance because of high blood pressure. After the training, I started meditating twice daily–not as a spiritual practice, but for health reasons. Forty years later, I still practice regularly. Meditation is the best thing I have ever done to calm myself and separate from the 24/7, connected world. By centering into myself, I can focus my attention on the important things, develop an inner sense of well-being, and gain clarity in making decisions. My most creative ideas come from meditating, and meditation has built resilience to deal with difficult times. No doubt it has helped me become a better leader. Mind training, of which meditation is one form, can change the composition of your mind. Research by Wisconsin’s Richard Davidson demonstrated direct correlation between mindfulness and changes in the brain – away from anger and anxiety and toward a sense of calm and well-being. UCLA’s Mindful Awareness Research Center found meditation can improve executive functions (sustaining attention, diminishing distractibility) better than medication in many cases. Increasingly, companies see mindfulness training as a competitive advantage. Aetna, the nation’s third largest health insurer, partnered with Duke University to study meditation and yoga. Researchers found these practices decreased stress levels by 28%, improved sleep quality (20%), reduced pain (19%), and improved productivity 62 minutes per employee per week. Aetna is now offering similar programs to all employees as well as its insured customers. The World Health Organization estimates that stress costs American businesses roughly $300 billion dollars per year. Over the past thirty years, we’ve experienced an 18-23% increase of self-reported stress for men and women, respectively. As companies such as Google, General Mills, Blackstone, and Goldman Sachs have shown, mindfulness training decreases stress levels. The key to effective leadership is the ability to integrate your head (IQ) with your heart (EQ). As Buddhist monk Thich Nhat Hanh taught me years ago, “The longest journey you will ever take is the eighteen inches from your head to your heart.” Our hearts are where essential leadership qualities like passion, compassion and courage reside. By practicing mindfulness, mindful leaders exhibit high levels of self-awareness and intentionality in their actions. The best time to start a mindful practice is now, but don’t take the word “practice” lightly. Maintaining the discipline of your practice isn’t easy. To become a mindful leader, you need to make this a daily introspective act. As you do so, you’ll worry less about day-to-day problems and focus on what is most important. As you become more mindful, you will be a more effective, successful and fulfilled leader. That’s worth twenty minutes a day, isn’t it? This article was originally posted 7/27/15 on the Huffington Post as part of a series on True North Leadership. According to the jazz pianist Thelonious Monk, “A genius is the one most like himself.” Similar logic applies to leaders. In Discover Your True North I explain how you can grow as an authentic leader by mining your life story to reveal your true nature. Becoming self-aware almost always requires help. As Kroger CEO David Dillon learned when he lost an election, it’s not always your opinion that matters. To realize your potential, it is important to understand how the person you project into the world is received. Dillon went on to become the student body president at the University of Kansas after he learned to accept feedback. “Feedback helps you take the blinders off, face reality, and see yourself as you really are,” he says of his experience. Dillon also points out that his natural reaction to feedback is defensive. He attributes this to how he copes with negative information; as we all know, it can be tough to hear negative things about yourself. However, he makes a point to tell colleagues that he appreciates their input despite how it may make him feel. Just because something is uncomfortable, doesn’t mean it’s wrong. It takes maturity to graciously accept truths about yourself that you’d rather not hear. As you become a leader, you need others to help you take a step back and review where you stand. Experts still debate whether positive or negative feedback is more beneficial to goal attainment. Studies suggest each is valuable, depending on the context. For example: humans are more likely to continue a behavior when feedback rewards them for commitment to a goal. Negative feedback, however, is more effective when a person needs a push to make progress toward a goal. This nuanced approach to feedback may be critical to your success as a leader. How can you solicit feedback and interpret it in a way that allows you to get a full picture of your actions? Try getting anonymous written feedback from those who work closely with you. This way, no one is afraid to be honest and you can read and internalize the feedback at your own pace. It’s one thing to receive a piece of feedback. It’s another to receive the exact same feedback from four or five different people. If a large sample size says the same thing about your behavior, it may lead you to make a positive change. Have you ever seen the digital “Your Speed” signs on roadways that tell you how fast you are going as you drive past? This, of course, is information you can find at any moment, as all cars have speedometers. But having it projected at you from a different angle, getting the information in a unique way may do a lot to alter your behavior. In so many areas of life, we succeed when we have some sense of where we stand and some evaluation of our progress. Indeed, we tend to crave this sort of information; it’s something we viscerally want to know, good or bad. As Stanford’s Bandura put it, “People are proactive, aspiring organisms.” Feedback taps into those aspirations. Through the “Your Speed” signs, information was gathered and presented to an individual in a relevant way. Then clear action came of it. Feedback loops, even ones that present information you already knew in a more immediate way, may cause you to alter your behavior in a positive fashion. Next time you solicit feedback, ask colleagues to write down what might seem obvious. Does information you know become more relevant if it is repackaged and presented to you in a fresh manner? Unfortunately, for those of us who like quick, tangible results, self-awareness isn’t easy. It comes with time and experience. It may take years to learn how you react to different situations—and it may take even longer to cull less productive aspects of your personality from your nature. Self-awareness is, in keeping with the spirit of jazz, not an art form you learn in a single day. It is a lifetime pursuit of trial and error, mastered over time. Once you attain this self-awareness, you will project authenticity into the world. 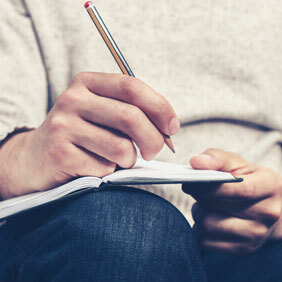 Take a moment to write a letter to your younger self. What would you say to you at 22? What have you learned along the way? Often we present to the world a curated picture of who we are. If you dig through your life story and highlight life-changing moments, you can be more honest with yourself. This type of feedback creates a feedback loop with the past. When she lost her health, she lost her way – then found both again. Throughout Discover Your True North, successful individuals discuss how they became authentic leaders. This forum is a chance to delve deeper into the thoughts and journeys of these influential leaders. In this profile, we will talk about self-awareness with Huffington Post founder Arianna Huffington. Thank you for joining us, Arianna. You were raised in a small apartment in Athens, Greece, with your mother and sister. You also mention in Discover Your True North that your father founded a number of unsuccessful newspapers. Did your childhood define your entrepreneurial spirit? It did. I grew up in a modest, loving setting. My mother reassured us that it was OK to fail as we pursued our dreams, always ensuring us that we were not bound to our circumstances. And my father was a wonderful journalist. He was arrested and sent to concentration camp for the duration of World War II when an underground paper he published spoke out against the German occupation of Greece. This sticks out in my mind as an early example of how impactful media can be. How did your experiences at a young age help influence the culture you’ve helped establish at the Huffington Post? We wanted to create a place where people could come together and talk about life, politics, art or food—really anything important to the individual—and we wanted the website to have a human quality, a distinctive voice. Of course, there are challenges any time you try to fit a number of pieces together, including different opinions, life experiences and attitudes. But my mother convinced me that failure was a stepping stone to success. The Huffington Post experienced early success. By 2007 Time had named you one of the 100 Most Influential People in the world. Yes. Like we discuss in the book, while I was doing great by traditional measures of success, I lost track of myself in the grind. I was working 18 hours a day every day to build the business. Is this when you had your “aha” moment? It was. In 2007, I collapsed in my home office and hit my head on the corner of my desk. I had broken my cheekbone and cut my eye. I had pushed myself so hard I collapsed from exhaustion. What did this fall teach you about yourself as a leader? Well, simply, I can’t lead if I’m not around. You have to take care of you before you can care for your business or the people who depend on you. When I fell I realized I needed to make some changes. I needed to be more grounded. Having a successful company is wonderful, but at what cost? I had been pushing myself hard for a very long time and it took its toll. How does this relate to what you call the “Third Metric”? There’s money and power, the first two measures of success we all know. Now we are focusing on the third. The third is really you. You have to ask yourself why am I doing this? How am I doing? You have to focus on yourself as an individual. What did you learn from eulogies that you mention in your book Thrive? Rarely do eulogies mention the first two metrics of success when an influential person passes away. They talk about the impact of the person’s character. This tells us that it’s a person’s capacity to touch people and live a good life, rather than a successful life, that shines through. We are trying to start a new conversation about success. We want to redefine success as the quality of one’s life rather than as a measure of the first two metrics. Discover Your True North really carries this torch. Often, it is about how and why a person leads, more than that a person once led. It takes self-awareness to answer this call. It all comes back to self-awareness. Before people can lead effectively and authentically, they must evaluate who they are and what type of success they want. Is that right? Precisely. Becoming self-aware is a long journey. Life informs us as to who we are and how we are perceived in the world. I think it is really important to focus on self-awareness and stay grounded in your values. It’s the best way to build the life you are capable of living. We believe that if people can focus on being self-aware, if they try to live a good life or try to live in a good way, the other two metrics will work out. This is one of the keys to finding your True North. Thank you for your time, Arianna. We appreciate hearing your story. I know others who are pursuing their own True North can pick up something from your experience. Thank you for having me. And I hope my experiences are helpful. The success we experienced at the Huffington Post early on was wonderful, but I’ve learned firsthand how success can pull you off course if you’re not careful. I tell my story because I want to encourage other people to focus on their own self-awareness as they grow into authentic leaders. Growing as a leader, like growing as a person, means learning from difficult times. I call these times crucibles, and I’m sorry to say that every person on the planet will have to endure a few. Your crucibles may include the death of someone you love, a major illness, a divorce, or a professional failure. As a leader, you must learn to process difficult times in a way that allows you to come out on the other side stronger – and inspire those around you. Great leaders have learned how to turn troubles into treasure. I was inspired by so many of the leaders I interviewed in Discover Your True North, as they told me about incredibly painful crucibles and how they used them as opportunities to learn and grow. When is a setback a leap? In a blog post on Psychology Today, licensed psychologist Leslie Becker-Phelps, Ph.D., compared the path to success to a childhood game where one tries to roll a metal ball through a maze to reach the other side. In the game, as you may find in your life and career, you learn how to move forward each time you hit a wall; you choose a different route. Have you ever come to a place where your growth felt stifled so you accepted a lower-paying position with more upward mobility? Have you decided to spend less time at work because of a health related issue or to devote more time to your family? Each of these points in your life, even if in the moment it felt like you were losing momentum, was a chance to refocus, reevaluate and charge forward renewed. The healthy way to approach a crucible is to look at it from a different perspective – a higher perspective. 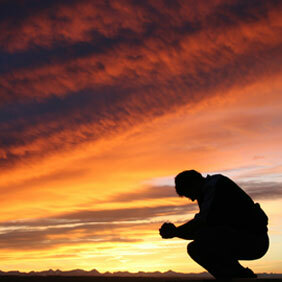 Ask yourself: Is this a time to become downtrodden, or is this a challenge from which I can learn? By viewing obstacles as opportunities, you’ll find that, over time, perseverance becomes a part of your nature. Others will see perseverance in you as a leader. Aaron Beck, M.D. (considered the father of cognitive-behavior therapy [CBT]), developed a psychiatric practice in which patients and physicians evaluate how a person’s thought process affects behavior. In an article about the future of the therapy he developed, Beck recounts a conversation he had on the way to a conference. The applications of CBT are wide-ranging, but the fundamentals of Beck’s work deal with how thoughts affect outcomes. This practice can be incredibly valuable to you. Take a minute to think about an obstacle you faced. If you were to reframe the crucible in your mind and talk to yourself differently, could you glean more from the experience? How are you “talking to yourself” about the crucibles you face? Beck recommends approaching yourself in a compassionate way. Accepting your experiences as part of your growth allows you to think through events and efficiently pursue the success and happiness you have in mind. Clarity of thought allows you to keep an eye on your True North in the distance. The next time you face a difficult time, take a moment to think about the situation in a way that removes blame and frustration. Think about what the circumstances teach you about your nature, how you reacted toward the people around you and what you would like to change the next time the winds pick up. As you continue to pursue your True North as a leader, be sure to pause regularly and think about the moments in life that defined your character. Over time, this will enable you react to adversity differently. It will also help you become a more compassionate, well-rounded leader, as you’ll be freshly reminded that the people around you have also experienced crucibles along their journeys.